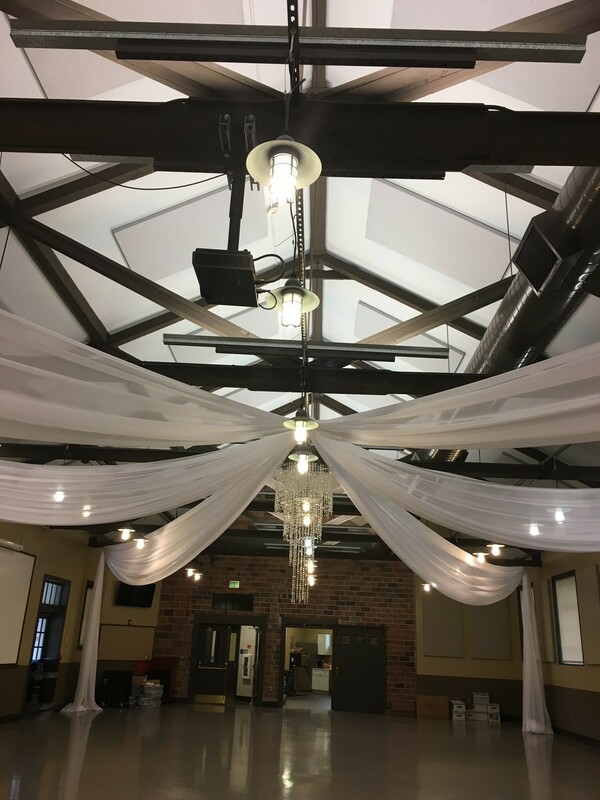 This fabric draping can be as few as "4" drapes from the center attachment or as many as "10" or "12". It can be with or without either string lights or italian lighting. Call today for a pricing quote. Iowa events only!